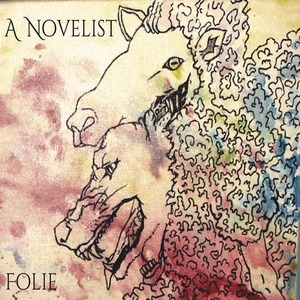 Tech without being ‘tech?’ Such a statement comes to mind when listening to Folie, the second full-length from A Novelist. Without a doubt, the progressive and technical flourishes on the album would nestle themselves up next to any filling Obscura/Beyond Creation, but if you listen to A Novelist, these won’t be the comparisons that you make when you hear it. While it may be clichéd to say, Folie has a sound that really is more all to itself. The influx of progressive metal, tech death, jazz, and more really give Folie it’s own vibes. Of course, in our labeling day and age, we could simply slap a ‘prog’ sticker on it, but it serves no real purpose. What A Novelist do so well on this album is to take all of those elements and make something that’s not only a unique sounding listen, but one that has some real emotion behind it. First and foremost, there’s more clean vocals to be had than growled ones (but they are also stronger and never go the ‘commercial’ route), but the extremity is often provided by the instrumentation. Frantic yet precise drumbeats along with occasionally intricate guitar work brings the band into the extreme arena, but also never keeps them glued to it. Saxophone inclusions, jazzy tempos and melodies, and more pure proggy moments keep you guessing as to where the song will progress, but not in a frustrating way. Surprise twists and turns are what keep the album moving, along with the aforementioned emotional core and music that sits as intricate without stealing the show away from the song itself. Folie is a balancing act of some opposing forces that ultimately show A Novelist as not afraid of their death metal roots, but end up transcending them to deliver an experience that is more unique in design. There’s much to consume in the end, and some of it won’t come on an initial listen, but its worth the investment to see how everything ends up unfolding over the course of several more return visits.